GrandeuratBarBBar.com - Paint your own landscape with postcard-perfect views in every direction. 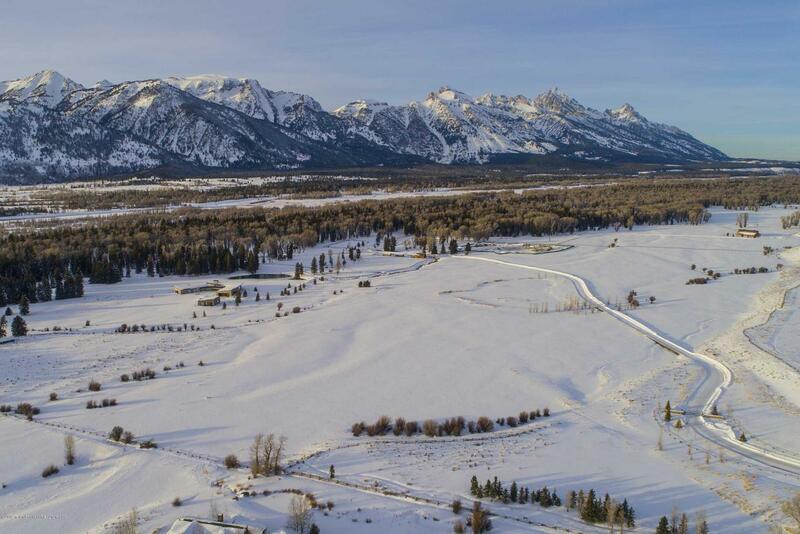 This rare 36-acre lot is inside a private gate on the Bar-B-Bar Ranch just 8.5 miles north of town and a stone's throw from Grand Teton National Park. Trumpeter Swans nest on the island in the middle of a private 2.5-acre, 15-foot deep pond that mirrors reflections of the mountains. There is private fishing access to the Snake River. 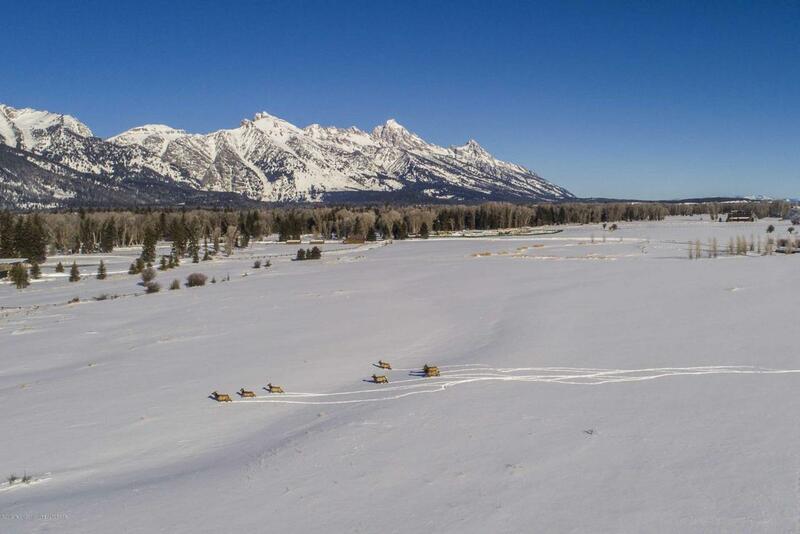 Elk, Moose and Bison drink from multiple streams on the property under the shadows of the Teton Mountain range. Design and build your own piece of paradise or hit the ground running with plans for a four-bedroom home + guest house featuring Sleeping Indian sunsets and Grand Teton grandeur. The sweeping views on this level building lot offer an inspiring canvas.Originally a working cattle ranch, the expansive lot is one of only a few undeveloped properties left on the 780 acre-ranch. Some of the homesteader's original log cabins and stables still dot the landscape along the winding road that leads to a cottonwood grove along the Snake River. A split rail fence cordons the meadow, which is secluded from the Bar-B-Bar estates by a natural bench. To drive down to the meadow is to witness an instant calm. 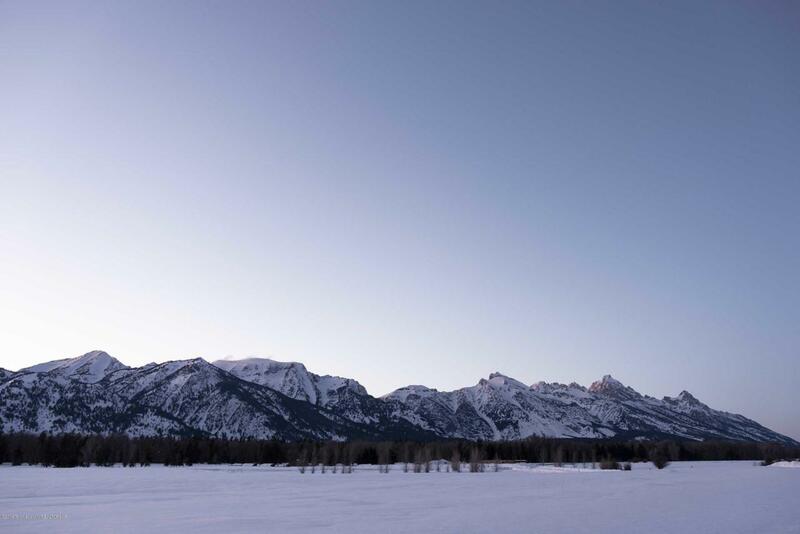 The peaceful entrance leads to an explosion of views, including bird's eye views of the two ski resorts, the Teton and Gros Ventre Mountain ranges. Point out your favorite ski runs and hiking trails to your guests, or take off from home for a walk along the river, a cross country ski or a horseback ride. 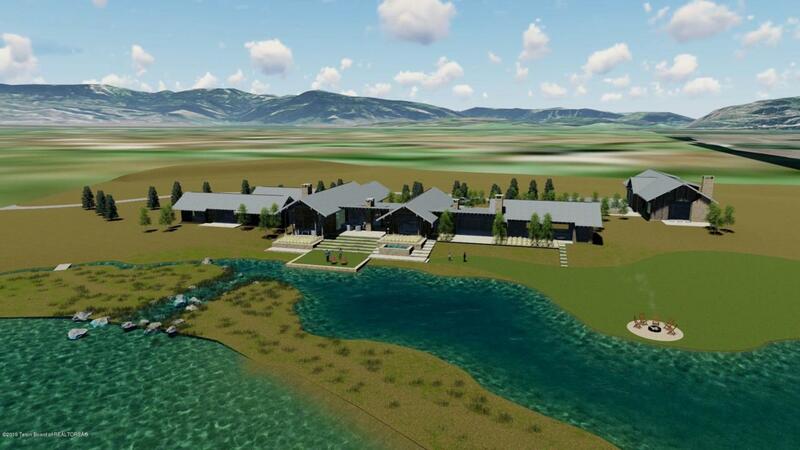 In addition to plans for a mountain modern home and a guesthouse with an office and a three-car garage, drawn up by Miller | Roodell Architects, of Bozeman, Montana, landscaping plans have already thought of ways to protect the home's privacy and frame its iconic scenery. Hershberger Design, a local landscape architect, has made sure the private pond is a focal point from two verandas and a landscaped terrace. A stream that leads from the pond passes by the terrace and a dock to launch paddle boats is just steps away. The pond, which is deep enough to stock cutthroat trout, has two well-defined fishing spots and is surrounded by a walking trail. In the evening, the pond is ablaze with reflections of the natural setting, inspiring a sunset stroll, a soak in the hot tub or a cocktail by the fire pit. The proximity of Grand Teton National Park, allows for time for a self-guided wildlife tour before dinner. On a clear day, you can see for miles and imagine what it's like in Yellowstone National Park to the North, or on top of Sleeping Indian and Jackson Peak to the east, or the Tetons to the west. The Snake River, home to some of the best fly fishing in the nation, freezes over along the edges in the winter offering some excellent snowshoeing and cross-country skiing along the river dike. No matter what season, the grandeur feels at once majestic and within reach. Listing provided courtesy of Latham Jenkins of Live Water Properties Llc.